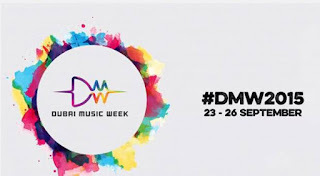 The Dubai Music Week is a premiere international music festival with A-list musicians performing at the Dubai World Trade Centre (DWTC) along with an interactive entertainment village, masterclasses and celeb talks. It was founded in 2013 by the Dubai World Trade Centre and Los Angeles-based Global Gumbo Group (G3) to be the main music event of the region. Dubai Music Week 2015 is the result of a strategic partnership between Live Nation, the leading international live entertainment company and DWTC, the largest event and venue operator across the Middle East, North Africa and South Asia region. The event is also associated with Eid in Dubai and Dubai’s Department of Tourism and Commerce Marketing (DTCM). The event will be held from September 23 through September 26 at the DWTC making it the go-to place for the holiday celebration of Eid Al Adha. Car Parking available at car parks 1A, 1B & 1C, located in front of the Convention Gate entrance. Paid parking available in the multi-storey car parks, one is located behind the Shaikh Maktoum and Shaikh Rashid Halls whilst the other is across the road from Hall 1 Metro Dubai World Trade Centre Taxi Taxis will be in plentiful supply. Listen to his music once, and you will be humming it to work, at work, off work and everywhere else. 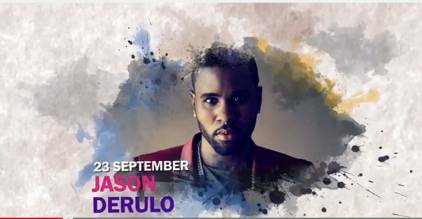 Jason Derulo, in a short span of six years, has taken on the music industry by storm and will perform live at the DWTC on September 23 on the opening night of the Dubai Music Week 2015.Dubai based rapper Two Tone will be opening for Derulo. Her notably deep voice and powerful stage presence has made her a favourite of not just the masses, but the British royal family as well. Ellie Goulding will perform live on September 24 at the DWTC. The band featuring Jared Leto, Shannon Leto and Tomo Milicevic gear up to perform at the main stage of the Dubai Music Week 2015 on September 25. Dubai based band, Juliana Down, will open the night and get the crowd pumped up for Thirty Seconds to Mars. The highlight for fans at the Dubai Music Week is the chance to get up and personal with their favourite music artists. Jason Derulo will start off a Q&A session on September 23 at 3pm, hosted by Kris Fade. This is open to concert ticket holders only and entry is free for the first 1,000 ticket holders arriving by 2pm. Questions can also be sent in via Twitter using the hashtags #DMW2015 and #AskJasonDerulo. The session ends at 4pm. Read more. On September 25, fans can attend the screening of Oscar winner Jared Leto’s movie, Artifact followed by a Q&A session with Jared himself. Tickets to the screening will be available soon. Check the official event website for updates. Read more. The master classes are open to all and cost Dh150 per class payable at the venue. There are 50 seats which will be given on first come-first served basis and you also need to register online here. Expect fresh content every day for each of the classes. Leading industry experts in entertainment give visitors tips, tricks and trends of the trade. Entry to these talks is free but there are only 50 seats which are on a first come-first served basis. Interested participants need to register here and slots will be confirmed beforehand. Presenters Dina Butti, Aishwarya Ajit, Layne Redman, Producer Faraz Javed, and Head of Production and Executive Producer Reim El Houni. The Entertainment Village hosts the du Live! and HTC Festival stage which will feature performances of emerging artists from the region. You can find information about these performances at the DMW2015 website. The Entertainment Village also boasts fun and quirky food trucks, exhibitors from music, gaming, art and lifestyle brands and, cutting edge music and gaming experiences. Entry is free and the village is accessible from 1pm. The Dubai Music Week promises to be fun and engaging for everyone from DJs, to industry professionals, budding musicians, or simply lovers of music. Don’t miss it!